The Commonwealth Environmental Water Holder (CEWH) is responsible under the Water Act 2007 (Cth) for managing Commonwealth environmental water holdings. 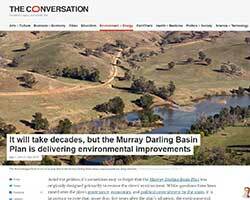 The holdings must be managed to protect or restore the environmental assets of the Murray-Darling Basin. The Long-Term Intervention Monitoring Project (LTIM Project) is the primary means by which the Commonwealth Environmental Water Office (CEWO) will undertake monitoring and evaluation of the ecological outcomes of Commonwealth environmental watering. Monitor the ecological response to Commonwealth environmental watering at each of the seven Selected Areas. 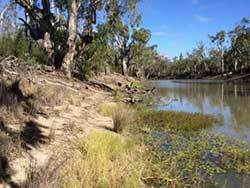 The Long Term Intervention Monitoring (LTIM) Project for the Edward-Wakool river system. The Long Term Intervention Monitoring (LTIM) Project for the Edward-Wakool river system Selected Area is funded by the Commonwealth Environmental Water Office. The project is being delivered by a consortium of service providers led by Charles Sturt University (Institute for Land, Water and Society) and includes, NSW Department of Primary Industries (Fisheries), Monash University (Water Studies Centre), Griffith University, NSW Office of Environment and Heritage, and Murray Local Land Services. Monitoring and evaluation of the ecological outcomes of Commonwealth environmental watering in the Edward-Wakool Selected Area will be undertaken from 2014 to 2019. The LTIM project is based on a clear and robust program logic, as detailed in the Long-Term Intervention Monitoring Project Logic and Rationale Document. That document sets out the scientific and technical foundations of long-term intervention monitoring and is being applied to areas where LTIM projects are being undertaken. It also provides links between Basin Plan objectives and targets to the monitoring of outcomes from Commonwealth environmental watering actions. For more information, see Monitoring and evaluation for the use of Commonwealth environmental water. 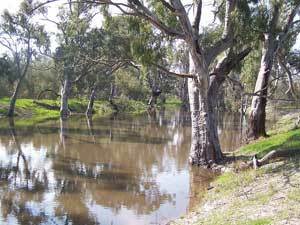 The Edward-Wakool system is a large anabranch system of the Murray River main channel. It is a complex network of interconnected streams, ephemeral creeks, flood runners and wetlands. 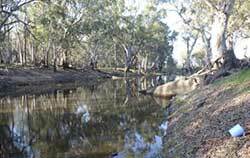 The Edward-Wakool system is considered to be important for its high native species richness and diversity including threatened and endangered fish, frogs, mammals, and riparian plants. 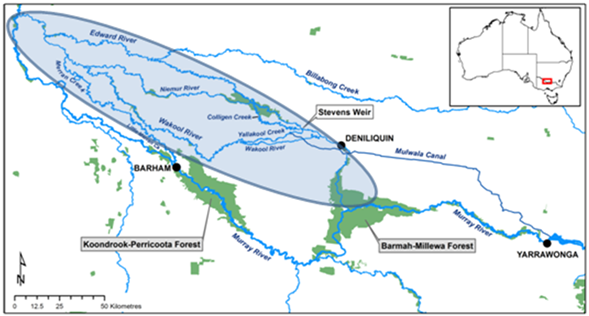 It is listed as an endangered ecosystem, as part of the 'aquatic ecological community in the natural drainage system of the lower Murray River catchment' in New South Wales (NSW Fisheries Management Act 1994). This system has abundant areas of fish habitat, and historically had diverse fish communities which supported both commercial and recreational fisheries. The area supports a productive agricultural community, has a rich and diverse Indigenous history, and supports both active and passive recreational uses such as fishing, bird-watching and bush-walking. Many Aboriginal nations maintain strong connections to the country (including the Yorta Yorta, Wiradjuri, Barapa Barapa, Wemba Wemba and Wari Wari), with the Werai Forest in the process of conversion to an Indigenous Protected Area. The Long Term Intervention Monitoring Project for the Edward-Wakool river system Selected Area is funded by the Commonwealth Environmental Water Office. 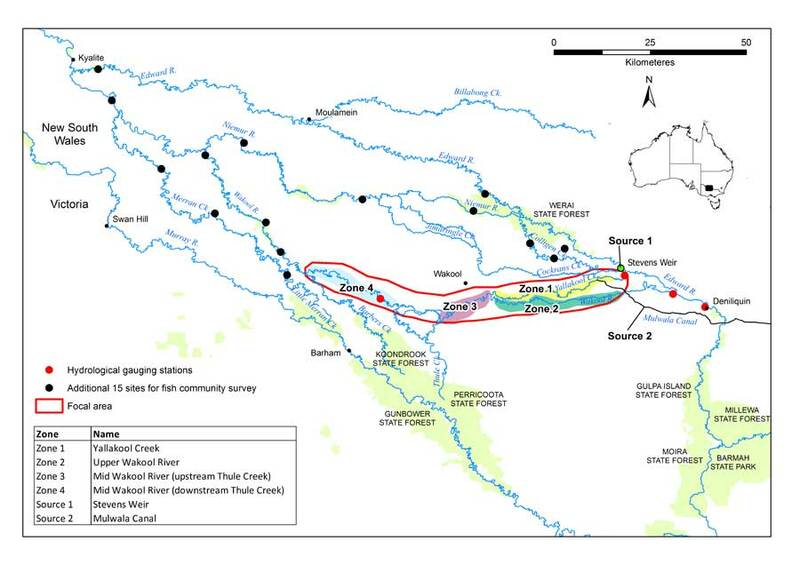 The project is being delivered by a consortium of service providers led by Charles Sturt University (Institute for Land, Water and Society) and includes, NSW Department of Primary Industries (Fisheries), Monash University (Water Studies Centre), Griffith University (Australian Rivers Institute), NSW Office of Environment and Heritage, and Murray Local Land Services. 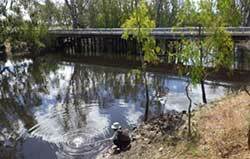 The LTIM Project in the Edward-Wakool system will focus on monitoring ecosystem responses to instream flows. 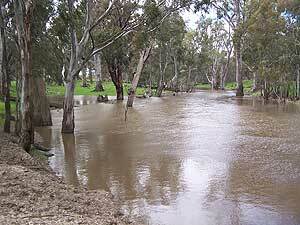 The monitoring will be focussed in Yallakool Creek and the upper and mid reaches of the Wakool River. In addition to the fish surveys undertaken in the focal area, a further 15 sites throughout the Edward-Wakool system will be surveyed for fish populations in years 1 and 5. In addition to water quality sampling in the focal area, water quality will also be sampled in Stevens Weir (source 1) and the Mulwala canal (source 2) as these sites are the potential source of Commonwealth environmental water in this system. The responses to Commonwealth environmental watering will be evaluated using an ecosystem approach. 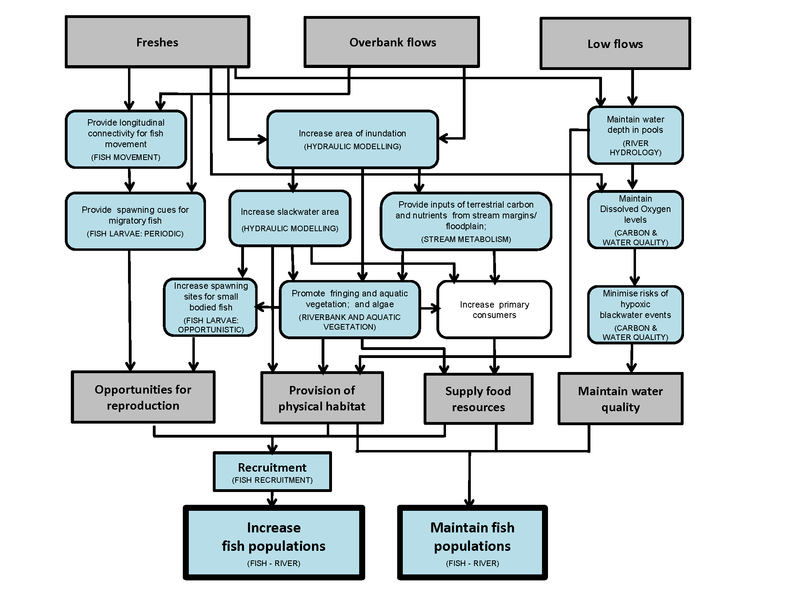 A conceptual diagram illustrating three main flow types (low flows, freshes, overbank flows) and their influence on ecosystem components and processes that, in turn, influence fish population dynamics. Indicators that will be monitored as part of the Edward-Wakool Selected Area LTIM Project plan are shown in brackets in boxes shaded blue. The monitoring and evaluation has a strong focus on fish, including fish movement, reproduction, recruitment and adult populations. Several other indicators (e.g. water quality, hydraulic modelling, primary productivity, aquatic vegetation) will also be monitored as they indirectly influence fish population dynamics and will also be used to evaluate the whole of ecosystem responses to Commonwealth environmental watering. Dissolved oxygen and light will be logged continuously in each focal zone between August and March. 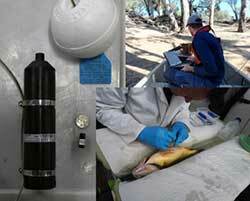 Nutrients and carbon samples will be collected monthly, spot water quality monitored fortnightly. 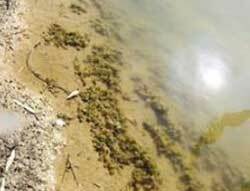 The composition and percent cover of riverbank and aquatic vegetation will be monitored monthly between September and March in each water year. The abundance and diversity of larval fish will be monitored fortnightly between September and March using light traps and drift nets. Targeted capture of young fish (1+ and 2+ year old fish) will be undertaken by back-pack electrofishing between February and April. Young of year recruitment will be assessed using otoliths. Answers to some questions about the 2016 hypoxic blackwater event in the southern Murray-Darling Basin Howitt, J. 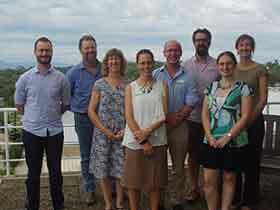 & Watts, R.
The Edward-Wakool Environmental Water Reference Group was formed in early 2016 to ensure a local voice in the use of environmental flows in the Edward-Wakool river systems. The group is supported by the Commonwealth Environmental Water Office. How does the Edward-Wakool Environmental Water Reference Group work? 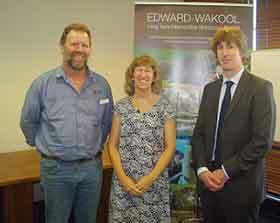 The Reference Group was established to help to develop and guide environmental watering in the Edward-Wakool region. For example, during the 2016 floods the Reference Group developed a careful approach to delivering environmental water into the local river systems, following recent natural floods. In the future, the Reference Group will be consulted in development of the annual watering plans for the Edward-Wakool. The Reference Group will be a strong link between government and community. The CSU research office has created a new website that showcases research and innovation at CSU. 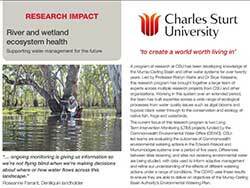 One of the case studies is on 'Water ecosystem health' http://innovate.csu.edu.au/impact/sustainable-water-systems It showcases CSU involvement in the monitoring of Commonwealth environmental water. In the accompanying video, there are short interviews with Hilton Taylor (CEWO) and Roseanne Farrant (Edward-Wakool Environmental Water Reference Group member) and as well as Skye Wassens and Robyn Watts. Research impact is a 2 page information sheet. The official launch of the Institute's two major environmental water monitoring projects funded by the Commonwealth Environmental Water Office (CEWO) was held on Wednesday, February 18 at the Albury-Wodonga campus. After a Welcome to Country by Yalmambirra, presentations were made by CSU's Vice Chancellor Professor Andrew Vann, Mr Ben Docker, from CEWO, and the leaders of the two five year projects - Professor Robyn Watts, for the Long-Term Intervention Monitoring Project in the Edward-Wakool River System, and Dr Skye Wassens, for the Long Term Intervention Monitoring Project in the Murrumbidgee River System. Professor Vann said the projects "ticked all the boxes" in terms of what research he would like the University to be delivering. "These projects in particular are great examples of projects that are collaborative across universities, with government, with industry and with communities...they're absolutely focussed on real, practical and tangible outcomes for the environment and the community and are great from every perspective. They're 'poster children' of where I'd like research at CSU to be at." Researchers Professor Robyn Watts and Dr Julia Howitt, members of a team that have been studying the Edward-Wakool River System since 2010, look at what has caused the hypoxic blackwater; what is happening now; why it has so extensive and severe; why it was particularly bad in the Edward-Wakool River system; what is being done to minimise fish deaths; whether there are any good outcomes from the floods and blackwater; and whether we can we prevent hypoxic blackwater events happening in the future. To download the document click here. 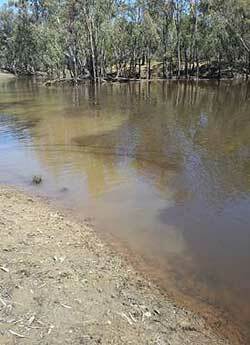 Environmental water to provide refuge flows in the Edward river to minimise fish deaths caused by hypoxic blackwater. Laurissa Smith: "Every year thousands of megalitres of water is sent down our major rivers to repair the ecosystem. But how effective are those environmental flows and do they need to happen more or less often? Image 1: Banks of Barber's Creek (Koondrook Forest) showing accumulated leaf litter and bark prior to flooding (Photo: James Abell).